Pessimists sometimes tell us that life has become a uniform drab, and that all romance has passed away in the dull routine of modern ex­istence. When they say this, they for­get the profession of war-correspondent. Here we have a calling, unknown sixty years ago, that is as full of excitement, uncertainty, and romance as the most greedy adventure seeker could desire. The "special" of a great journal has the world as his field of operations. One month he is witnessing the triumph of modern artillery in a battle between a Chinese and a Jap­anese fleet; the next, he is tracing the ways of Russian diplomacy in Peking. Soon afterwards, he may be hurry­ing off to a minor rebellion in South America, or picturing a phase of the struggle between East and West in the Balkans. He wakes up each morning conscious that before night he may be off on a journey of ten thousand miles. His prepara­tions for long travel are al­ways made. One special ar­tist, Mr. Melton Prior, has two outfits ready at home, which he calls his "hot" and his "cold" outfits. If his edi­tor asks him to take the after­noon boat express to St. Pe­tersburg, and go from there to Nova Zembla, he has only to send a brief wire home, "Please bring cold bag Cha­ring Cross, twelve mid-day," and he is ready. If Timbuktu is his destination, he needs only substitute "hot" for "cold." In the office of one London daily paper a bag is kept always ready for any man who has instantly to go off to the ends of the earth. Such preparations are ne­cessary. Take one instance alone. Last autumn, Mr. H. S. Pearse, the well-known correspondent of the London Daily News, strolled late one evening into his office. "Things are looking more serious in South Africa. You had better get out as soon as possible." "I'll just have time to catch the train for the South-African mail," he replied. He caught his train, and within three weeks was in the battlefields of Natal. The excitement of the work of war-correspondents is considerable, and the danger is very great. The mortality amongst them is always enormous, con­sidering their number. No campaign passes without several sinking before either the weapons of the enemy, or disease that always dogs a fighting force. They have to expose themselves more than soldiers, in order to get their news; and when the work of the soldier is done, that of the correspondent is beginning, for he has to write his description of the battle, and walk or ride perhaps twenty-five miles or more to get it on the wire. Enormous physical endurance is to him absolutely necessary. "I have at least one advantage over other men," said Archibald Forbes to Sir John (then Mr.) Robinson, when he first set out for the Daily News to the Franco-Prussian war. "You have many advantages,"the newspaper chief replied. "Yes," the special assented; "but you do not know the advantage I mean. After a day's fighting I can walk forty miles to di­spatch my message. Other men have to wait for their horses. Horses are never to be found after a heavy fight; and while they are searching, I have got through." Much risk naturally brings adequate compensation. George Augustus Sala's declaration that his paper "paid him like a prince and treated him like an ambas­sador" is not far wide of the mark of many men today. One of the best known of the "specials" receives £1000 a year in times of peace and £2000 during war. Another had £1000 when at home and £1500 when abroad; and to this he added fully as large an amount from the sales of his correspondence reprinted in book form. Another was recently given a dou­ceur of £2000 by his chiefs at the end of a campaign. Many men are retained only during war-time, and then £100 a month is a usual rate of remuneration. But this does not represent all. The newspaper usually insures the corre­spondent's life for a considerable amount, in favor of his wife. In at least one in­stance known to me the owners of the paper immediately settled a pension on the widow of their representative who died at the front. The newspaper correspondent is a cost­ly luxury. All his expenses have to be paid, in addition to his salary, and these expenses are enormous. "Send us the news first, and never mind the cost," are his directions. Cable charges are a large part of his outlay. In the present South-African campaign these have been very heavy. Newspapers that do con­siderable business can, it is true, send their messages for 1s. a word, press rates. But press messages have a way of being delayed, and in moments of special inter­est no great papers use these rates. They send intelligence as ordinary cables, at 4s. a word, or as "urgent," at 14s. a word. Often enough the urgent mes­sage has got through no quicker than the press message. One newspaper bill for telegrams alone, during a quiet month of this campaign, came to £3000. When the Transvaal war broke out, experienced newspaper managers realized that there would be unusual difficulties in supplying the world with news. The cable lines from South Africa are en­tirely under the control of the British government, and every message must go through either Cape Town or Aden. This gave the English censor enormous pow­ers, which have been used to the full. From first to last only such cable mes­sages have passed as the British Generals desired and even letters have been exam­ined. For the first time in British cam­paigns letters from the front have reach­ed newspaper offices open, and endorsed on the cover, "Opened under martial law." In olden times the newspaper corre­spondent had a free hand. It was his business to get what news he could and send it off as quickly as possible. He had to forage for his own food and look after himself. English generals changed all that. They made the war-correspondent a regular part of the army. Before join­ing he must receive a pass from the War Office, and this pass is difficult to obtain. Then he is treated as an officer; he is allowed to draw forage for his horse, and he is placed under martial law. If he disobeys the orders of the commander he can be shot by a drum-head court mar­tial—although in actual practice this would not be done. He is only allowed to go where the commander pleases, his telegrams must be read and approved by a special officer, and all his work is spe­cially examined. Every issue of each journal that has a "special" at the front is carefully scrutinized; and if it is shown that the journal is publishing anything deemed detrimental to the army, the "special" is sent about his business. This is a very good plan—for the generals. It silences criticism; it suppresses ugly facts. Every correspondent, in each message, has the terror of the censor over him. He knows that if he writes anything in the least critical, his message will be at least delayed, and all his enter­prise rendered useless. Unpleasant as censorship is in theory, it has been worse in practice. At the beginning of the war, staff-officers were ap­pointed censors who had no idea of the requirements of their office. The theory held by correspondents was that when a staff-officer was so useless that no other task could be found for him he was made censor. These censors would pass messages without respect to order or time. Six corre­spondents would bring their messages in. The enterprising man who got his message in first thought his would be pass­ed first. Not at all. The last-comer's copy would be looked at first, because it was on top of the pile. After the censor had read a page or two he would, likely as not, bundle the remainder into his pocket and go off to an entertainment or for a meal. Two correspondents would send their wires at once. One would reach London a week after the other. The correspondent writes: "Heavy Boer attack. Guns rain shell fire on position. Severe losses, both yesterday and today." The message reaches the foreign ed­itor in London thus: "Heavy rain yes­terday and today." But that is a trifle. In the early part of the campaign, when the cable com­pany was overwhelmed by the rush of new work, the only way to get news through was as brief private telegrams. A correspondent would send off his mes­sage as twenty separate cables of twelve words each. These cables would come into the London office in the most elaborate disorder—one, one day; another, next week. The middle would come in first, the end next, and the beginning not until a day or two after. How to piece them together and make sense of them puzzled the most ingenious editors in England. Today most of the Lon­don cable editors have streaks of gray in their hair, young though they may be. The difficulties of cabling led most cor­respondents to rely mainly on written communications, and the best of our cor­respondence comes in this way. But in some cases it has been nearly as hard to get letters through as cables. At the beginning of the war most of the corre­spondents accompanied Sir George White in what were then the chief operations in Natal. They went with him to Lady­smith, and have remained there up to the time of writing this. They have only two ways of communicating with the outer world, by heliograph and by na­tive runners. The heliograph is official, and so cannot be used to any large extent. Flashing its sunlight enormous dis­tances, it surely carries any communica­tion right over the enemy's lines—so long as the sun shines. But when the sun goes behind a cloud, as during the fierce Boer attack on Ladysmith, all communi­cation is at once cut off. The native runner has found sudden fortune — or death — in this war. He knows the country and is familiar with every kopje, and his work is to penetrate through the Boer lines with a message to the English headquarters. About one message in twenty thus sent from Lady­smith gets through. It is better not to ask what becomes of the men who try to take the other nineteen. If caught by the Boers they are liable to the fate of spies; and doubtless that fate they often enough meet. Sometimes the native run­ner is weeks making a roundabout trip. One man set out from Mafeking in No­vember. He did not reach an English post, from which he could dispatch his message, until early in February. To English newspaper men the war will always be remembered with sorrow because of the correspondents who have been sacrificed to it. The death at Ladysmith, of George War­rington Steevens, corres­pondent of the Daily Mail, is universally admitted to be a heavy loss to English literature. Mr. Steevens brought to his work the highest culture of the schools, and a literary gift that had, when he was still in his twenties, placed him amongst the most popular writers of the age. 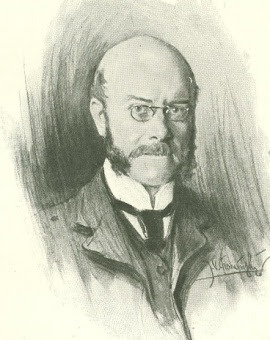 A fellow of Balliol, he made his first mark in newspaper work on the Pall Mall Gazette, when Mr. H. J. C. Cust was ed­itor. The Pall Mall was, in those days, the marvel of English journalism. Its former editor, Mr. E. T. Cook, had left it rather than renounce his political opinions, and the propri­etor surprised the world by putting a young and in­experienced member of Parliament in charge. Everyone expected that ruin would result. Instead, the Pall Mall be­came a paper such as Lon­don had not before seen. Full of exuberant vitality, impudent, clever, with an undercurrent of scholarship, it gave the world a fresh shock every day. Among the brilliant band of young men around the editor, Mr. Steevens was easily first. But the outside public did not know him until he joined the Daily Mail. He began his work for it in the summer of 1896 by a journey to America, and tour followed tour in endless succession. His wonder­ful picturesqueness, his clear vision, his power of grasping details and of making the strangest scene live before every reader, soon brought fame. Whether writing at leisure in London, or in equatorial desert after hard-fought fight against savages, he ever displayed the same power. At the height of his fame he was but a boy. Married and settled, with a farm in Surrey, chambers in Bloomsbury, and a roving commission to cover the world, his life was sped at express rates. In the four years of his life on the Mail he lived more than most men do in forty. He meant to settle down, but craved one more outing before fixing himself in London. So off he went to Cape Town, and began writing home what his friends hoped would be the crowning series of his adventures—"From Cape Town to Pretoria." But for him there was to be no Pretoria. Shut up in Ladysmith, typhoid seized him. In the days of convalescence heart-weakness revealed itself, and all was over. On a wet, black midnight they bore his body out to Ladysmith Cemetery. The one illumination was the Boer search­ light flashing from the hills above. The ­little band of sorrowful men laid him to his rest and before many days the whole world was mourning with them the loss of a brave and bright soul. The death of Mr. Steevens has, not been the only tragedy so far. Mr. E. F. Knight, of the Morning Post, has seen many campaigns since, when a lad, he fought for France in the war against Germany. He long served the Times, and his books relating his experiences in Central Asia and Rhodesia are well known. But almost at the beginning of ­ this war a Boer bullet so shattered his right arm as to necessitate amputation, and to imperil even his life. The bitterest part of it is that the bullet was fired after the enemy had hoisted a flag of truce, and when Mr. Knight was ad­vancing with the soldiers to receive an expected surrender. The wound was se­vere, but happily the worst is now over; and his friends declare that nothing would suit the correspondent better than to return to the front as soon as possible. No correspondent has done better service than Mr. Bennet Burleigh, the famous Telegraph special. He is now a veteran, but a veteran who can leave the younger men hopelessly behind. Begin­ning as a soldier he fought for the Con­federates in the civil war, and passed through adventures that would fill many a volume. Three times a prisoner, he obtained his liberty by feats that make the stories of Dumas seem tame. War over, he took to journalism in Texas, and afterwards drifted to London. He sim­ply does not understand what fear is, and his physical powers are enormous. To spend a day in battle and then ride sixty miles afterwards, write a long and brilliant dispatch and get it first through, is to him a trifle. He does not know fa­tigue; and the harder a campaign, the more he flourishes. He thrives on hard­ships as other men do on luxury. Yet, withal, he has sides to his charac­ter that men do not see in campaigns. He is so ardent a socialist that he actu­ally fought as a Labor candidate at Glas­gow in several elections. To under­stand the meaning of this, it must be remembered that in England the "Labor candidate" is almost universally regard­ed as a hopeless crank. His favorite drink is soda-water, and he abjures to­bacco. He began the present campaign by taking a venturesome journey through the Boer army. He actually, at a time when every outlet from the Transvaal was closed, boarded the train of the Boer General Joubert and travelled with him, securing a long inter­view from him and full details of the Boer intentions. He so won Joubert that the old general lent him a convey­ance to go over into British territory. Once at least during this campaign Mr. Burleigh, in spite of the censor, got in front of even the military authorities. The authorities paid him the undesirable compliment of appropriating his dispatch and issuing it as official intelligence. The campaign has already made the reputations of a few of the younger men. Foremost of these is Mr. Hales of the Daily News. 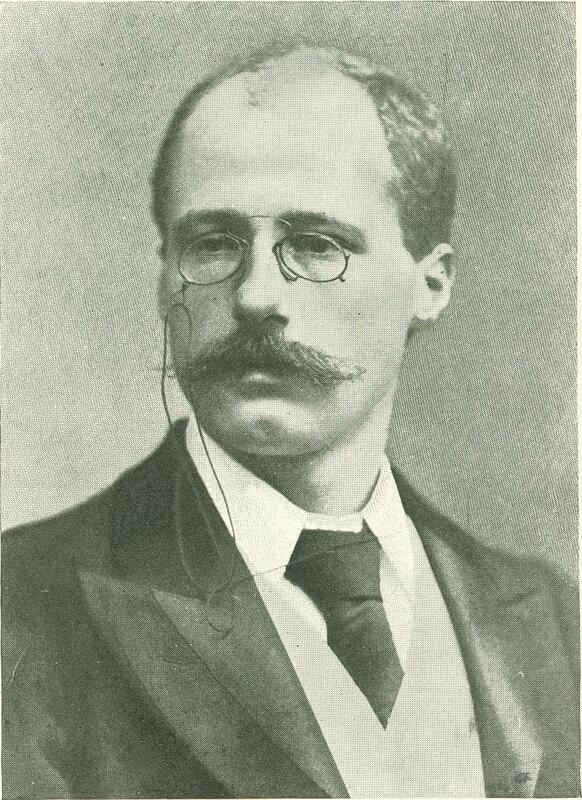 No one in England, not even the proprietors of his paper, can tell anything of this young correspondent, save that he is an Australian and is known as the "Australian Kipling." He accompanied the Australian contingent, and at the last moment was engaged by the London paper he now represents. His pictures of the field-preacher and of the burial of General Wauchope have made him famous. They have been so widely quoted by almost ev­ery English-written newspa­per in the world, that it is unnecessary to reproduce parts here. Some complain that the style is too luxuri­ant, and that it is "Kipling­ism run mad." But it goes home. Another who is showing, the possession of powers that may carry him far if he does justice to himself is Mr. C. E. Hands, of the Daily Mail. Mr. Hands began life as a reporter on a half­penny London evening paper, the Star. His unusually comic accounts of little gatherings of vestrymen and local com­mittees became very popular. When the Cust regime started on the Pail Mall Gazette he went there, and in due course, like many of the Cust men, drift­ed to the Daily Mail. He was through the Spanish American war, and was seen to advantage there. He did not start for South Africa till January, and all who know his real literary abil­ity expect much from him. 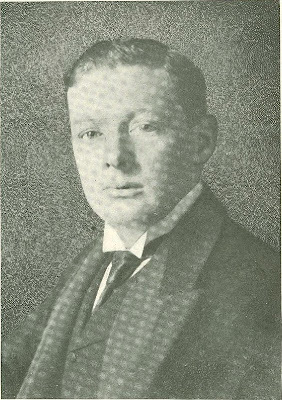 Mr. Winston Spencer Churchill, the youngest of the correspondents, can hardly be said to have gained fame in this war, for he was famous before it. But he has cer­tainly added greatly to his laurels. He is a living proof that smart "young men" are not a monopoly of either side of the Atlantic. 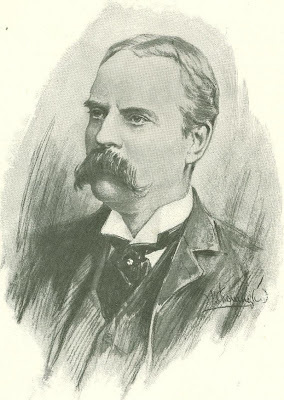 Son of the most original and meteoric of modern English statesmen, Lord Randolph Churchill, he found himself, five years ago, a subaltern of twenty at Al­dershot. He had joined the army for the sake of adven­ture; and as no adventures promised in England, he obtained leave and hurried off to witness the fighting in Cuba be­tween Spaniards and Cubans. Somehow he found himself nearer and nearer to the fighting-line, until finally he was in it. When his leave was up he returned to England, decorated with the First-Class Order of Military Merit. He was just in time to accompany his regiment to India, and there he volun­teered for the frontier expedition to Tirah. It was a dangerous expedition, for the natives were good at sniping, and were well protected in their mountain fastnesses. But the boy seemed to look out for danger. He rode on a white pony, the most conspicuous of all marks, and all the prayers of his friends could not make him give it up for a safer beast. War followed war. To his military duties he added the business of special correspond­ent, and revealed unusual powers. 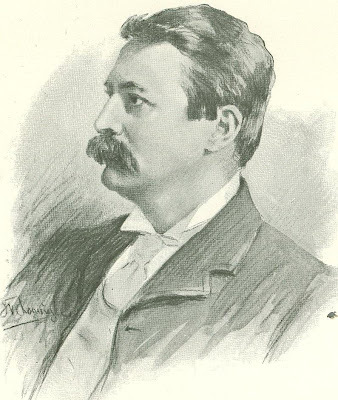 After a second frontier expedition, he went with Kitchener to Khartum, shared in the great cavalry charge at Omdurman, and wrote the standard book on the cam­paign. In the intervals he wrote a novel, Savrola. Returning home, he resigned his com­mission rather than abandon writing, and entered politics. Still a boy of under twenty-five, he starred the country as a political speaker, unsuccessfully fought an election, and then hurried off to Natal for the war. His deed with the armored train, his wonderful escape from Pre­toria, are known to all. Somewhat heavy-looking, ambitious, hard-working, with a touch of mysticism that attracts the mob, a born orator, with power to move people as he wills, Win­ston Spencer Churchill must go far. To­day he is only twenty-six. How long can he keep up his present pace? What will he be ten years hence? Already one hears mutterings from young men, tired of the older political parties, who look to him to lead them in a new political movement. Is his star to shine clearer and clearer, or is it to burn itself out by its very vehemence? Who, can say? Two well-known Americans are now at the front, Mr. Richard Harding Davis, and Mr. Julian Ralph, and they both are serving the Daily Mail. Mr. Davis, like Mr. Pearse of the Daily News, is a giant. Mr. Pearse stands six feet four in his stockings; Mr. Davis is broad enough across the shoulders for a cham­pion athlete. Of a different type is Mr. H. W. Nevison, of the Daily Chronicle. Mr. Nevison learned his first military lessons in Whitechapel, teaching the lads of the street to drill in order to promote discipline and self-control amongst them. Mr. Nevison has never reaped all the popularity his literary power deserves. He is perhaps too pessimistic for the mob—a pessimism which his experiences in trying to improve the slums of East London must have helped to deepen. To tell of all the brilliant men at the front would be to make this paper a mere string of names. There is Mr. Maxwell, of the Standard, who scored such a success in the Soudan campaign. 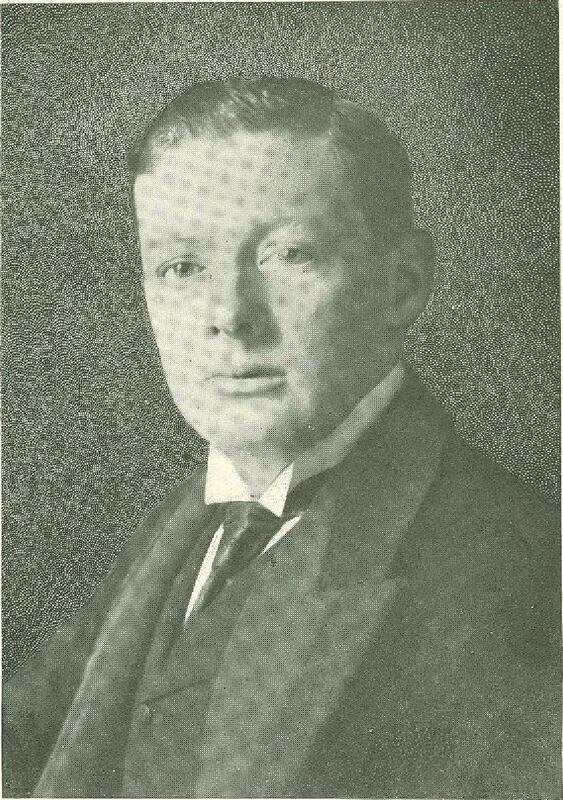 One must not omit Mr. H. A. Gwynne, head of Reuter's correspondents, perhaps the most typical special of all. Mr. Gwynne is so much abroad that London knows little of his personality, although it sees much of his work. He hurried straight from China to the seat of war. Even peers are eager to bear a pencil in the field, and Lord De la Warre serves ­ for the Globe. From Harper’s Monthly Magazine – July 1900.